The New York pastry craze that has inspired pre-dawn, mile-long line-ups, and a price-gouging black market, has caught on in the hotel industry, with in-house pastry chefs around the world recreating the hybrid ‘cronut’ for their guests. Part donut, part croissant, it would be no exaggeration to call French pastry chef Dominique Ansel’s buttery, flaky, deep-fried invention the dessert of the year so far, given the hype it’s attracted since launching only three months ago in May. 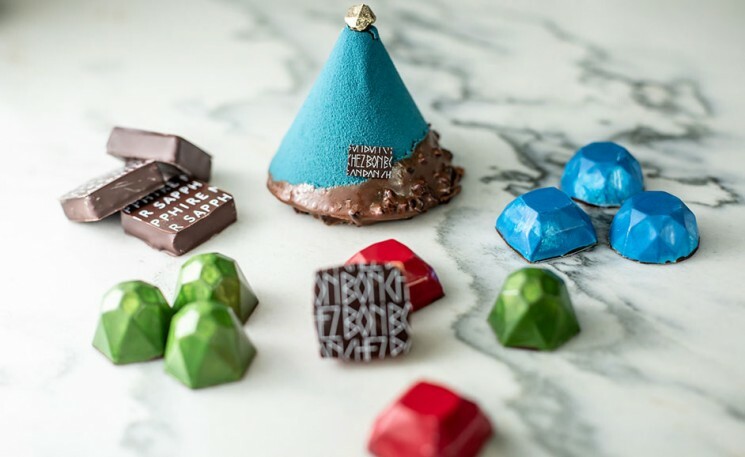 And in the last few weeks, hotel pastry chefs have caught on to the worldwide trend, recreating or reinventing the hybrid pastry for their guests, points out HotelChatter.com. This week, for instance, the Mandarin Oriental Cake Shop in Jakarta unveiled its new line of ‘Kronuts’ spelled with a ‘K,’ an important distinction given that Ansel has trademarked the cronut for his own. The MO’s version is sprinkled with cinnamon, sugar, and topped with vanilla cream and sliced almonds. At the West Town Bakery in the Acme Hotel Chicago, pastry chef Chris Teixeira sells “doughssants” which, instead of being round, are rectangular in shape and filled with chocolate-raspberry, blueberry-lavender and coffee-cream cheese. In a brazen copycat in both recipe and concept, pastry chef Gareth Mullins has also imported the cronut craze to Dublin, Ireland, where he works at The Marker Hotel. Like the Dominique Ansel Bakery, where demand outstrips the meagre supply of just 300 cronuts a day, The Marker Hotel’s cronuts are made in limited supply and a new flavor created every week. The New York bakery launches a new flavor every month. This week’s flavor: coffee and bitter chocolate. Meanwhile, the cronut has become nothing short of an international phenomenon, with copycat chefs from Japan to Australia either reproducing straight-up knock-offs, or peddling reworked versions of the flaky, deep-fried dessert and rechristening them Zonuts, Frissants, Cro-Nuts, Cronies and Dossants.